Review: What a nice little place. Mostly easy with a few short sharp climbs thrown in. Ranges from wide almost double track to narrow. Nothing technical. There are a few small log piles and fun little gullies to interest a rider, but bring the kids. Heck bring Grama, there's a flat paved loop on S. side. Brum woods served me well, as a confidence builder, coming back from injuries. Review: Singletrack for the most part, some roots, logs, bridges and not much elevation change. Used more for hiking than riding from what I see. 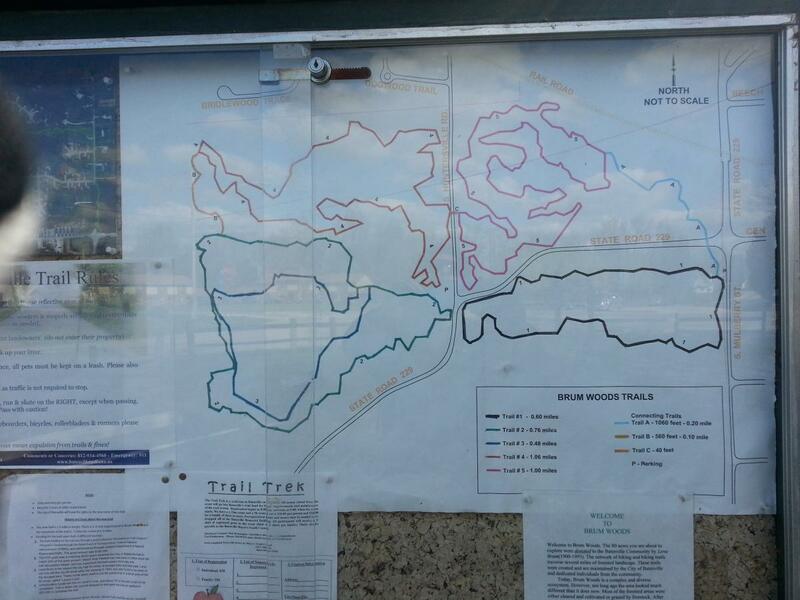 Brum Woods MTB Trail 3.33 out of 5 based on 3 ratings. 3 user reviews.